I'm selling a custom 650B steel hardtail frame with S&S couplers. 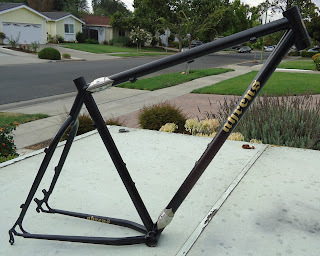 This frame was built for my friend Lennie and it turns out the standover height is too tall....a new frame for him is already in the works to replace this one. 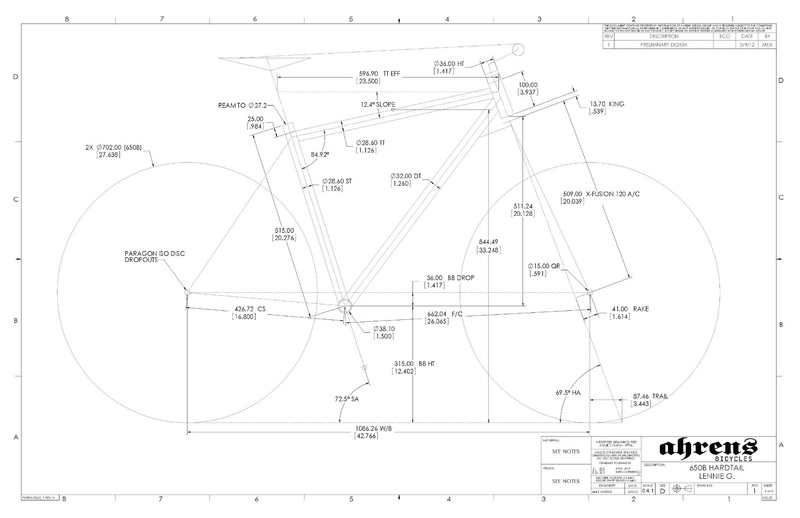 The frame features Columbus Zona tubing, Paragon BB shell and Paragon ISO Disc dropouts. It is sized MEDIUM with 23.5" effective top tube length. 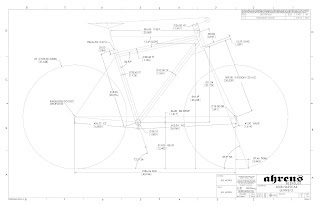 Frame price is $1200 including King headset and I will gladly provide a very low-price for the X-Fusion Velvet 65B fork this frame requires. Drop me a line if you are interested, I need to sell this black and gold beauty to make room for new projects!